Emirates will serve Phnom Penh, Cambodia via Yangon, Myanmar from July 1 this year (Subject to government approvals), with a Boeing 777-300ER aircraft in a two class configuration. Outbound, flight EK388 will Depart Dubai at 0915hrs, and will arrive in Yangon at 1725hrs. It will then depart Yangon at 1855hrs, before arriving at Phnom Penh at 2125hrs. The departure time of flight EK388 from Dubai seamlessly connects with a number of European services such as Paris, London, and Frankfurt. On the return segment, flight EK389 will depart Phnom Penh at 2310hrs, and will arrive in Dubai at 0540hrs the next day, after a short stop in Yangon. All times are local. The launch of daily services from Dubai to Phnom Penh will coincide with the introduction of a direct, non-stop route between Dubai and Hanoi. From July 1, Emirates passengers travelling to Hanoi will no longer stop in Yangon before reaching the Vietnamese capital. Phnom Penh, located in the south-central region of Cambodia, is the most populous city in Cambodia and is a gateway to World Heritage Site Angkor Wat, near Siem Reap. Recent growth and infrastructure development has led to Phnom Penh becoming a significant economic and tourism destination. There were more than 4.7 million foreign tourist arrivals to Cambodia in 2015 and this is forecast to rise to 8 million by 2020. The inauguration of the Phnom Penh Airport terminal extension in March last year will complement this growth, effectively doubling passenger capacity. The new Dubai-Yangon-Phnom Penh route will also enable passengers from Yangon to travel to Phnom Penh and vice versa. 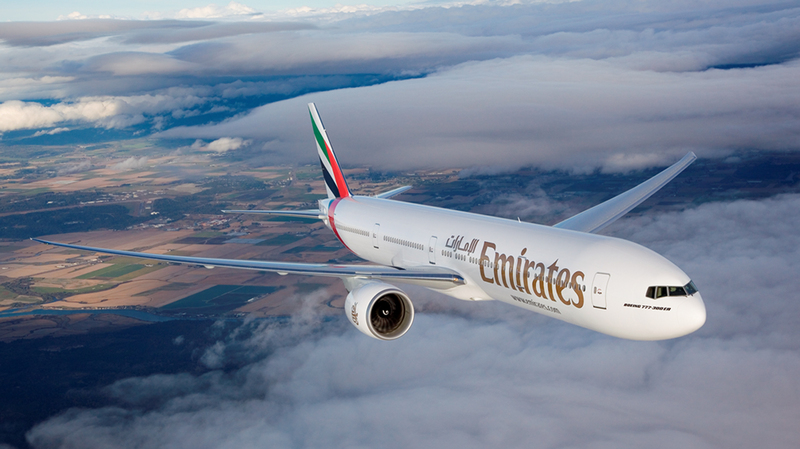 Emirates will be the only airline with a direct service between these two cities. In terms of cargo, garments and clothing are expected to be popular exports from Phnom Penh on this route. All services between Dubai and Phnom Penh will offer two classes of travel – Business and Economy, with generous free baggage allowance (up to 35kg in Economy Class and 40kg in Business Class). Passengers on Emirates flights can also look forward to the award-winning inflight entertainment, ice, with more than 2,500 channels and free Wi-Fi, which is available on select Emirates aircraft.